TV station group E.W. 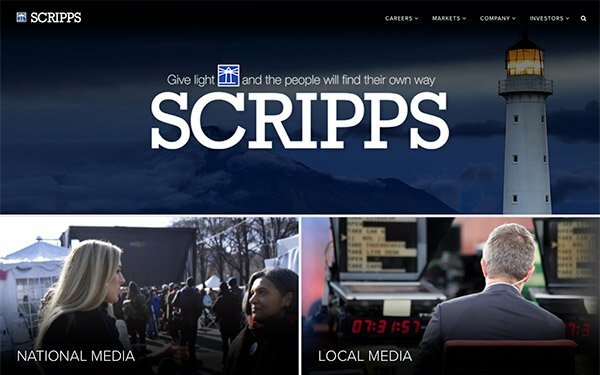 Scripps posted a 51% revenue hike to $303 million in its third quarter -- from higher political advertising and the acquisition of Katz Networks in the fourth quarter of 2017. Third-quarter income from continuing operations sank from $27.6 million to $20 million. Katz's revenue grew 23% to $46.5 million from its third-quarter 2017 period -- attributable to higher viewers, rising advertising rates and broader distribution. As with other TV station groups, the company saw a boost from political advertising -- $40 million in the period. All that lifted local advertising media 25%. From January through November 6, political advertising totaled $140 million — an 86% same-station rise over 2014, the last midterm election year. At National Media -- which includes its Katz, its locally based digital TV networks -- revenues were $71.8 million. Excluding the impact of Katz, revenue more than doubled compared to the same quarter in 2017. Local TV stations' revenues rose 23% to $231 million. A major part of this increase was retransmission revenues, which climbed 24% to $78.87 million, due to increased fees for about 5 million subscribers. Midday Friday trading of the company’s stock was down 0.2% to $17.71.